United States Secretary of Defense James Mattis will make his first overseas trip this week, visiting Japan and South Korea to reaffirm U.S. commitments and hopefully calm rattled nerves. After a campaign in which he demanded that countries hosting U.S. forces pay more for their own defense and a first week in office that has included withdrawing from the Trans-Pacific Partnership, the election of Donald Trump as 45th president of the United States has unnerved many of America's closest Asian allies and partners. In his meetings with Asian counterparts, Secretary Mattis could deliver several key messages that the Trump administration has stressed during the campaign and since: The U.S. is still with you, but the U.S. would like you to do more. Mattis's first objective could be to open and deepen his personal lines of communication with Japanese Prime Minister Shinzo Abe and Minister of Defense Tomomi Inada. He can do so by building on the positive legacy that he inherits from former President Obama. In addition to a symbolically important exchange of visits with Abe to Hiroshima and Pearl Harbor in 2016, Obama expanded cooperation with Japan on outer space, cyberspace and maritime 'gray zone' contingencies while initiating new linkages designed to improve allied military planning and coordination. The Abe administration will be looking for Mattis to reaffirm the alliance and, specifically, to confirm that Article Five of the U.S.–Japan Security Treaty applies to the Senkakus — islands that China covets and which past U.S. administrations have agreed to help defend. Mattis might use the opportunity to urge the Abe administration not to lose momentum on base realignment in Okinawa, where local officials, activists and outside agitators have sought to prevent construction of a replacement facility that would shift Marine Corps Air Station Futenma from a crowded downtown area to a safer, more remote location. 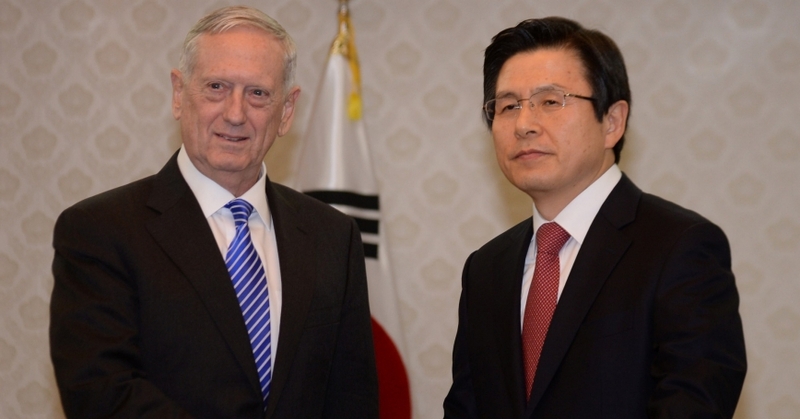 When he meets with Acting South Korean President Hwang Kyo-ahn and Defense Minister Han Min-koo, Secretary Mattis could send a similarly strong message of support to a key U.S. ally facing an all-encompassing domestic political crisis at the same time as it faces a growing threat from North Korea's expanding nuclear and missile arsenal. The Dec. 9, 2016, impeachment and on-going trial of Park Geun-hye has brought much of South Korean political life to a standstill, and a measure of reassurance that the United States is not planning to abandon its partner could be helpful. 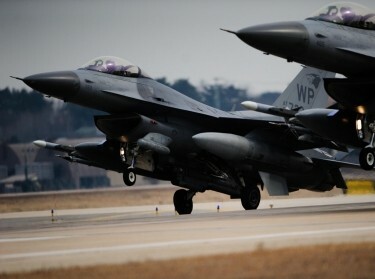 Already, leading contenders in the race to succeed Park have questioned whether or not Korea can continue to rely on extended deterrent guarantees from the United States to defend the South. Mattis could also reaffirm the commitment of the United States to honor its treaty obligations and encourage the South to follow-through with its agreement to permit the U.S. to bring a Terminal High-Altitude Area Defense missile battery onto the peninsula as soon as possible to help defend the U.S. forces that are stationed in Korea. Mattis can help to explain the goals the Trump administration is pursuing with its emerging Asia-Pacific security policy and its strategy. In his meetings with the leaders and defense chiefs of both countries, Mattis can help to explain the goals the Trump administration is pursuing with its emerging Asia-Pacific security policy and its strategy for achieving those goals. The administration appears to have signaled an intention to adopt a more competitive stance vis-a-vis China and North Korea, but has not yet clarified the role it sees for U.S. allies in support of such a posture or how it envisions coordinating with Washington's allies to ensure a unified position. Mattis could also clarify the administration's intent regarding the Third Offset strategy, designed to counter the erosion of key U.S. capabilities through investments in advanced technologies. At the same time, he could offer insights into reports that the U.S. will pursue an expanded missile defense shield and a much larger fleet of naval vessels. These are areas where Japan and South Korea, as allies with advanced military technologies, may be poised to contribute to joint defense industrial development, thereby helping lower the costs of research and development and ultimately procurement. Building personal contacts and providing clarity on the U.S. regional vision and strategy will be important, but a second objective of Mattis's visit could be to explore ways Japan and South Korea might contribute more to their own defense. 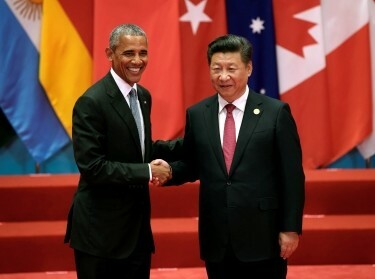 The U.S. is not leaving the Asia-Pacific, but it cannot meet the challenges of a rising China and a provocative and nuclear-armed North Korea alone. 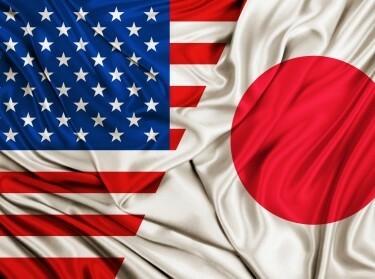 Japan has done much to enhance its contributions to its defense in recent years but could be encouraged to do even more to enhance jointness within the Self-Defense Forces and interoperability with U.S. Forces Japan while also accelerating investments in upper-tier missile defense; intelligence, surveillance and reconnaissance; base hardening; and anti-submarine warfare. These will make Japan harder to coerce and more resilient in the face of attack. South Korea, for its part, has upgraded its abilities to impose costs on North Korea if it is attacked but could be encouraged to make further improvements. These might include its command, control, computers and communications capabilities and network resiliency; new and improved missile defenses; intelligence, surveillance and reconnaissance assets; and expanded munitions stockpiles. Other possibilities include enhancing its anti-submarine warfare capabilities and its artillery fire capacities and procuring more counter-battery radars. Such investments could enhance the Republic of Korea's ability to sustain and prosecute a war on the Korean peninsula should the North lash out or collapse suddenly. All of this would require the allies to spend more than the roughly $36.5 billion that South Korea and $43.5 billion that Japan allot to their defenses today. Mattis might deliver the message that, if the allies deepen their contributions to their own security, the U.S. will not ask Seoul or Tokyo to revise upwards the level of the contributions they put in for the forces Washington stations on their soil to help defend them. A third goal of the Mattis visit might be to highlight the importance to the United States of several recent instances of bilateral and trilateral cooperation in Northeast Asia. Mattis could encourage Japan and South Korea to build on these positive steps, including the December 2015 'comfort women' agreement; a 2016 deal to enable the exchange of military intelligence; and a trilateral ballistic missile defense exercise that wrapped up earlier this month. The allies also could be encouraged to deepen planning and exercises at the operational level, building on their past experiences focused on search and rescue and humanitarian assistance and disaster relief. One area where discussions could be advanced quickly would be on what roles and communication channels would be employed in the event of a crisis on the Korean peninsula requiring the execution of a noncombatant evacuation operation. While U.S. Forces Korea routinely exercise for such a scenario, and Japan has practiced for them as well, Seoul and Tokyo have never been brought into a position of planning for such an eventuality side-by-side, where assumptions can be surfaced, interrogated, revised and refined, and potentially problematic approaches de-conflicted in advance. These issues are politically sensitive, so it may be best to raise them in private conversations, but the possibility of a Korean peninsula contingency that would require the allies to respond to such a situation has grown with North Korea's continuing provocations, and the need for such discussions is growing more urgent by the day. The start of a new administration can be a time for revisiting past assumptions and asking questions about long-standing approaches to managing regional diplomatic and security policy challenges. It is good that Mattis is coming to Asia very early in his tenure at the Department of Defense to coordinate with two key U.S. allies and partners. If he can reassure them that the new administration intends to fully support them, while also clarifying Washington's expectations, it could go a long way toward calming the concerns that America's Asian allies have expressed over the prospect of a new and uncertain approach to alliance management coming from Washington. Scott W. Harold is the associate director of the RAND Center for Asia Pacific Policy, a political scientist at the nonprofit, nonpartisan RAND Corporation and a member of the Pardee RAND Graduate School faculty. This commentary originally appeared on U.S. News & World Report on February 2, 2017. Commentary gives RAND researchers a platform to convey insights based on their professional expertise and often on their peer-reviewed research and analysis.